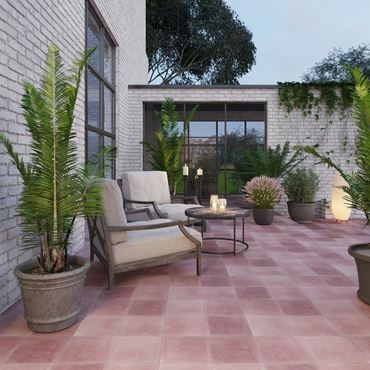 Just like a hot tortilla, this cement tile will make you feel good. With its warm, neutral, beige colour it is ideal to combine with any colour of décor. Each tile is individually hand-crafted and is hard-wearing, and the different shade gradients and slight variations of the tone, create a warm, welcoming effect. These handmade encaustic cement tiles are full of charm, personality and character. Pyramids have graced our planet with their majestic beauty for thousands of years. You can bring some of that historical magic into your home with these Light Pyramid handmade encaustic cement tiles in cool grey and clean white. Just like the pyramids, these cement tiles are crafted by hand from high-quality materials, and the 8-mm natural colour layer will keep them looking good for many, many years. The Persian girls name Nazenin means enlightenment and intuition and represents our innermost dreams, and that is exactly what you will feel when you gaze at these wonderfully ornate cement tiles. Their subtle, natural colours and intricate design make these a very special handmade encaustic cement tile that will grace your home with their complex beauty and exquisite craftsmanship and fill your space with peace and tranquillity.